Well versed with customer service orientation, phone etiquettes& basic computer applications. ROFOUS Software Pvt Ltd. is an ISO 9001:2008 certified and a CMMi Level 3 software services company founded in December 2006. Our operations are based out of Hyderabad and currently we are strengthened by 1700+ talented work force. ROFOUS software furnishes both software services and products to companies ranging from start ups to Fortune 500s. 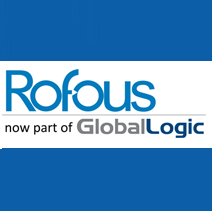 ROFOUS supplies a broad range of IT applications solutions and services including; e-Business solutions, Enterprise Resource Planning (ERP) Implementation and Post Implementation Support, Application Development, Application Maintenance, Software Customizations and Remote Database Administration Services. may i knw is der any vacancies for 2013 passed out..